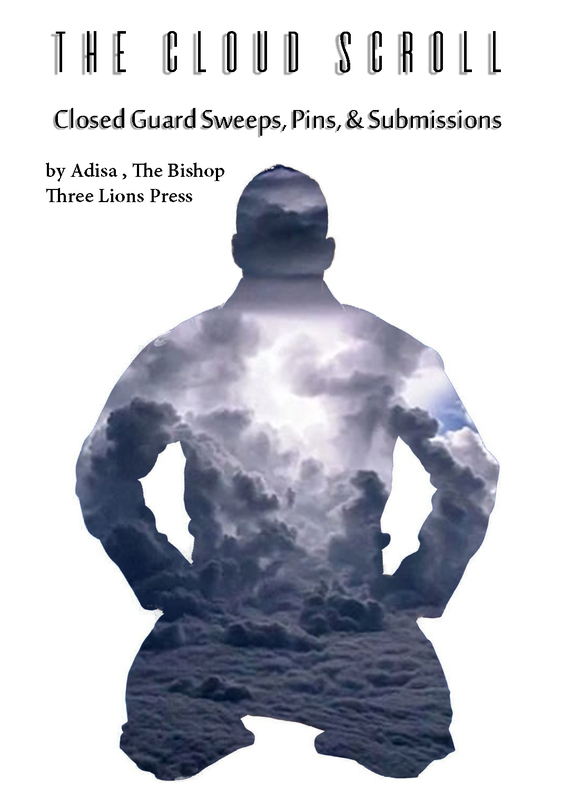 BREAKING: Lost Instructional Jiu-Jitsu Book by Adisa, The Bishop is Released! The Cloud Scroll !!! HHCF is proud to announce The Cloud Scroll: Closed Guard Sweeps, Pins & Submissions. This book is a companion to The Iron Hook Scroll written in 2013 (which included amazing finishing holds like the dreaded "Thug Nation" shoulder lock . It is a book Adisa The Bishop wrote 4 years ago but was lost. In May of this year Adisa almost passed away from a bacterial infection. Among other things, he was sad he was about to die a brown belt. 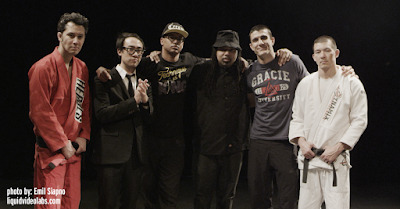 As soon as he got out of the hospital he told his instructor Alan "Gumby" Marques his plans to train harder and get consistent back on the mats. He later called Denny Prokopos and told him about his reluctant idea to release the Cloud Scroll. Denny suggested he do it because life is short. The Bishop agreed. There are three videos that help the reader understand the positions. New video's will be forthcoming illustrating the other positions in The Cloud Scroll.